With the Autumn approaching, it’s time to get yourself a good pack of new tights. Autumn is the best time of the year for the fans of tights, as it’s when the main hosiery collections are released. You’re never going to have as much variety as these days (for example, we have Halloween tights and Christmas tights already in stock!). If you’re going away on an Autumn break, you can benefit from our current promotion and get a free Wolford tights organiser with the purchase of two Wolford tights. How do you pack your tights when travelling? Do you put them all in a box? Do you wrap them individually, in small precious parcels? Maybe you are one of those people who always stocks the tights in their original package, so you just pick the pairs you need and put them in your suitcase. We have a better option! With the purchase of two Wolford tights (whichever you prefer), you’ll get a little gift that will upgrade the way you pack your tights to a whole new level. This Wolford tights organiser makes packing a smooth task. Just pick your four Wolford Essentials, put each of them in its respective pocket and close your tights organiser. When you get to your holiday destination, you can hang this organiser along with your outfits. 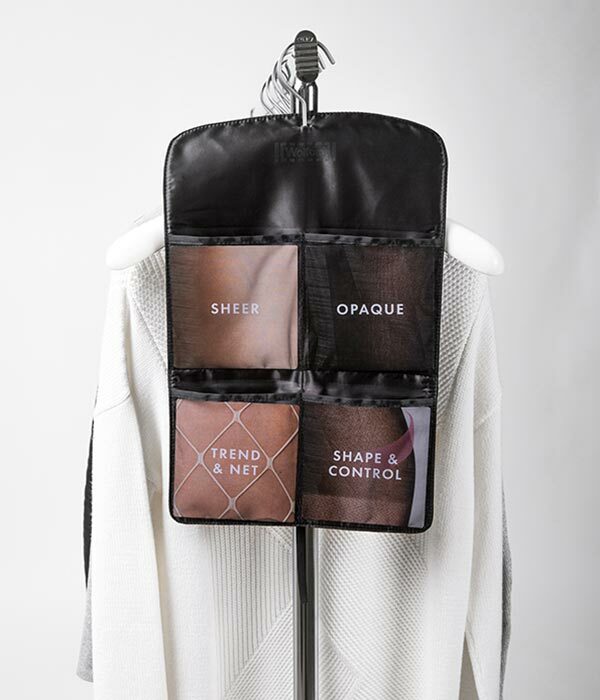 Now, the difficult part is… What tights should you include in your Wolford Essentials storage pouch? What are your Four Wolford Essentials? Sheer tights: Our best-selling Wolford Satin Touch 20 Tights. For the fans of matt sheer tights, swap them for the Wolford Sheer 15 Tights. Opaque tights: The Wolford Velvet de Luxe 66 Tights are our favourite opaque tights. The Wolford Satin Opaque 50 Tights are a fabulous product, too, and very popular for Autumn. Fishnet tights (or any other fashion tights): Wolford has realised you also want to pack your favourite fashion tights with you when travelling. Here you can include that pair wash and wear over and over… or maybe those tights you’ve been saving for a special occasion? We have chosen the Wolford Kaylee Fishnet Tights, which are part of the Wolford AW19 collection and pair well with any outfit. Control-top tights: The Wolford Pure 30 Complete Support Tights are just perfect, as they are the most perfect shaping tights. If you don’t really wear tights with tummy control, maybe you can include some semi-opaque tights, which are a really convenient style to wear in between seasons. The Wolford Perfectly 30 Tights are one of the best semi-opaque tights out there. So, what are you waiting for? 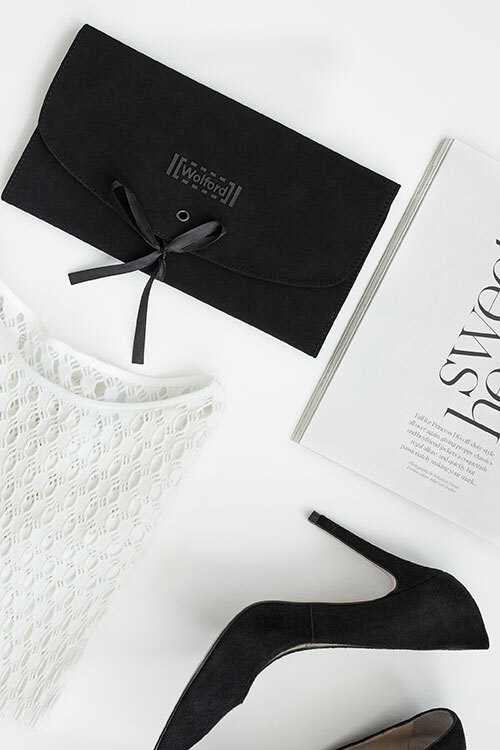 We only have a limited number of Wolford tights organiser packs to give away, so you better hurry up! Just add at least two pairs of Wolford tights to your order and we’ll send them with thanks. Happy shopping! What is Denier and What does it mean? Am trying to replace my wonderful Wolford travel tights size lge.